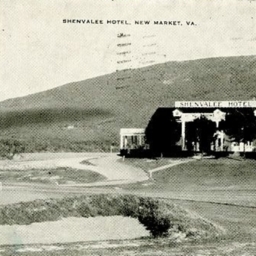 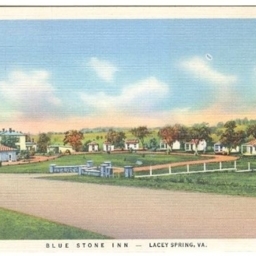 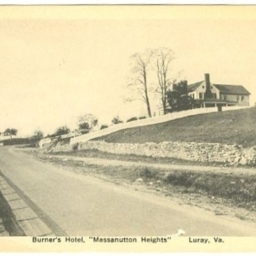 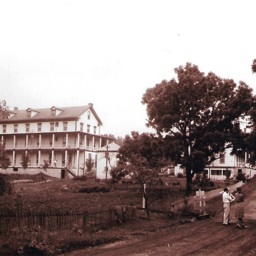 Postcard showing Burner's Hotel at Massanutton Heights near Luray Virginia. 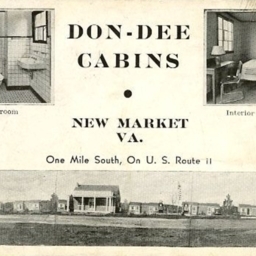 Don-Dee Cabins Inc., New Market Va.
Postcard showing the Don-Dee Cabins located one mile south of New Market Virginia on Route 11. 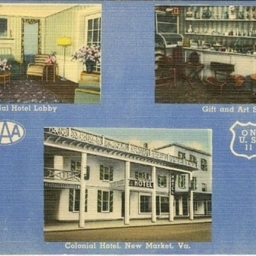 Colonial Hotel, New Market, Va.
Postcard showing the exterior of the Colonial Hotel and scenes from its interior. 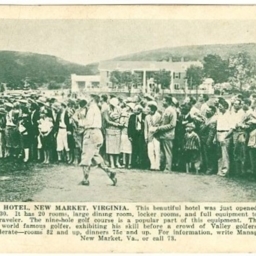 The hotel was located in the center of New Market Virginia on US 11. 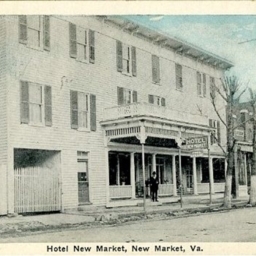 Postcard showing the Hotel New Market located on Main Street in New Market Virginia. 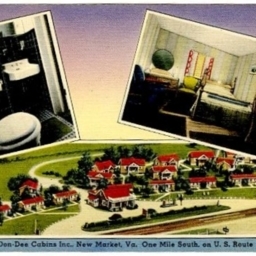 Description on back includes mention of running water and baths. 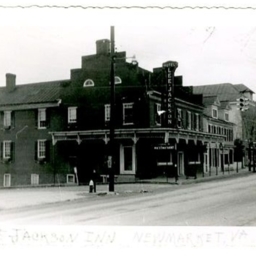 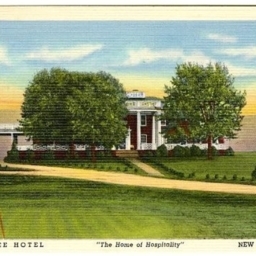 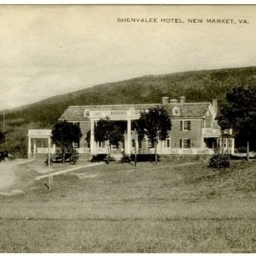 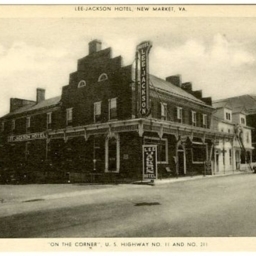 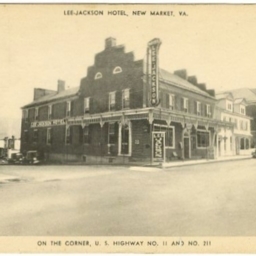 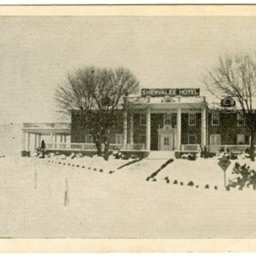 Postcard showing the Lee-Jackson Hotel in New Market Virginia. 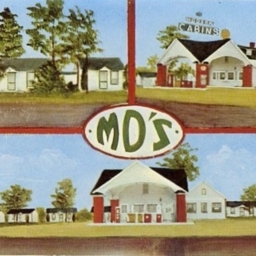 Card notes it is "on the corner" of US Highway 11 and 211. 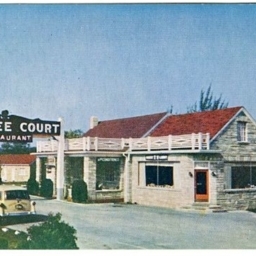 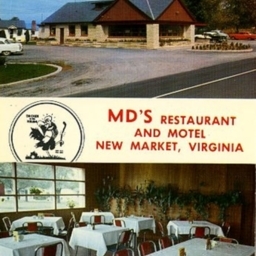 Postcard showing the MD Restaurant and Motel located near New Market Virginia. 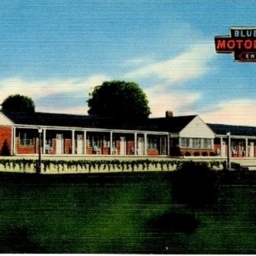 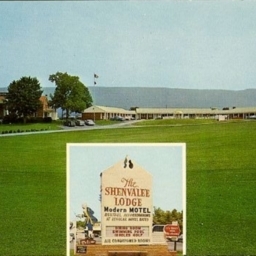 Postcard showing the Blue Ridge Motor Lodge located one mile north of New Market Virginia. 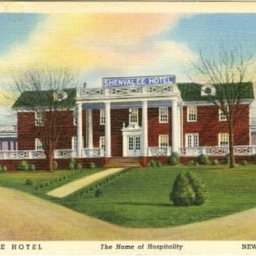 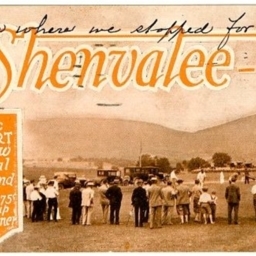 Owned at the time the card was produced by the Broeckel Brothers. 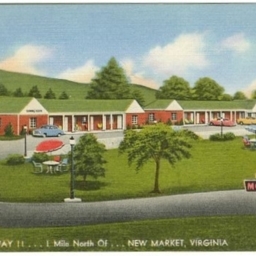 Postcard showing the Blue Ridge Motor Lodge located one mile north of New Market Virginia. 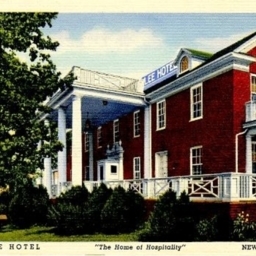 The hotel boasted air conditioning and free TV. 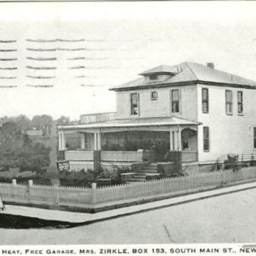 At the time the card was produced it was operated by Phil and Elsie Broeckel.